The Phlebotomy Technician program is designed for beginners, those students that have no medical background. The CPT course is a comprehensive program that uses a hands-on method. The program will prepare the student for a career in the allied healthcare field of phlebotomy through lecture/discussion and practical phlebotomy. The Phlebotomy program consists of 35 hours of class time. Class will meet 2 times a week for 5 weeks. One day for 4 hours and a second day for 3 hours. This program is designed for those students looking to become a phlebotomy technician. The class time will be split into two portions, lecture and practicum. The first half of class time will be lecture. The lecture will cover all aspects of phlebotomy from arm anatomy and blood components to body systems and special collections. The 2nd half of the class will be designated as practicum or phlebotomy practice time. During the practicum the students will complete blood draws and finger sticks. Students will perform these blood draws and finger sticks on one another while under the direct supervision of the instructor. No blood draw will ever be done without the instructor watching and coaching throughout the entire process. It is this individual attention that we feel helps the student to hone their skills as a competent phlebotomist. The practicum will focus on all of the aspects of the clinical laboratory. During the practicum students will learn to properly identify patients and review lab requisitions a wells as how to handle and process laboratory specimens. Students will learn to use and operate a centrifuge and point of care machines. The program also includes a 2 year certification through the American Red Cross in Basic Life Support for Healthcare Providers in Adult/Child/Infant CPR and AED. There will be 3 written quizzes, 1 written final and 1 venipuncture and finger stick final. The quizzes and final exams are to test the student’s phlebotomy knowledge and clinical phlebotomy skills. Students must have a grade of “C” 70% or higher to pass the class. Once the student has successfully completed the Phlebotomy course they will earn a certificate of completion. Successful completion of the Phlebotomy course meets the eligibility requirements to take the national phlebotomy certification exam through the National Healthcareers Association (NHA). The exam cost is included in the program tuition. Pre-requisites: Must meet admission policy requirements. Registration fee.....................$50.00 Paid at time of registration. Non-refundable after 5 days or start of class. *The cost of the BLS(CPR/AED) and Certification exam can be deducted if the student does not need or want certification. All tuition and fees are payable for one quarter, semester or school term only. Payment is due prior to the start of classes each term. Tuition and fee charges are subject to change at the school’s discretion. Any tuition or fee increases will become effective for the school term following student notification of the increase. All tuition and fees must be paid in full for the student to graduate. Any student that is dropped from the program or withdraws is responsible for all tuition and fees according to the refund policy. All fees and tuition are due on or before the first class. If you are unable to pay the full amount by the 1st day of class CPTC does offer a payment plan option. There is an additional $100 fee to use the payment plan option. A $25 late payment charge will be added if payment is not received when due. A late charge will be assessed for each late payment. If you are unable to pay the full tuition amount by the 1st day of class CPTC does offer payment plans. There will be an additional 12% finance charge to use the payment plan option. The payment plan fee will be split up in equal payments over the 4 weeks of the payment plan. An additional $25 late payment charge will be added if payment is not received when due. A late charge will be assessed for each late payment. Students are welcome to perform a 20+ hour clinical externship. Students wishing to participate in a clinical externship must successfully complete a BCI criminal background check, drug screening, and 1 step TB test. The cost to complete the requirements for the clinical externship will be the sole responsibility of the student. The requirements for the externship must be completed and all documentation submitted by the 4th week of the student’s program. Once all requirements are met and the student has successfully completed the phlebotomy program the externship will be coordinated by CPTC at a local patient draw station. CPTC does not guarantee placement in a clinical externship. A clinical externship is optional and is not a requirement to complete the program. All eligible students can elect to participate in a clinical externship at one of COPC 's Laboratory Patient Blood Draw locations. CPTC reserves the right to cancel any class that does not meet class size requirements. CPTC also reserves the right to update dates and times of any class prior to the start date. The CMA program is designed for students with little or no medical back ground in healthcare. The course is a comprehensive program that uses a hands-on method. The program will prepare the student for a career in healthcare as a clinical medical assistant through lecture/discussion and practical application. The Clinical Medical Assistant (CMA) program consists of 70 hours of class time. Class will meet 2 times a week. One day for 4 hours and a second day for 3 hours for 10 weeks. This program is designed for those students looking to become a clinical medical assistance. The program will prepare the student to work as a clinical medical assistant. The first 5 weeks of the program will follow the same curriculum as the phlebotomy technician program. The 2nd 5 weeks will focus on the roles and responsibilities of a clinical medical assistant. The role of a clinical medical assistant is to directly assist physicians, nurses and other healthcare professionals in providing patient care, with the focus being on performing clinical duties. These duties will include preparing treatment and examination rooms for patients. Getting patients ready for examinations, treatments and procedures. Blood draws, injections and vitals. A CMA will also perform some administrative duties, for example arranging lab work and prescriptions or filing patient records. The CPTC clinical medical assistant program will focus on all aspects of patient care both clinical and administrative. Students will study anatomy, physiology, phlebotomy, medical terminology, EKG, medication dosing, as well as clerical duties. Like charting patient information in the electronic health record or calling in prescriptions to the pharmacy. The students will have the opportunity to practice patient care skills in the class room. This will be done at the end of each class. The students will complete blood draws, finger sticks, injections and vitals. Students will perform these on one another while under the direct supervision of the instructor. No blood draw, finger stick or injections will ever be done without the instructor watching and coaching throughout the entire process. It is this individual attention that we feel helps the student to hone their skills as a competent medical assistant. There will be 5 quizzes, 1 written midterm, 1 final venipuncture and finger stick practical exam, 1 final CMA practical exam 1 final CMA written exam. The quizzes, midterm and final exams are to test the student’s knowledge and clinical skills. Students must have a grade of “C” 70% or higher to pass the class. 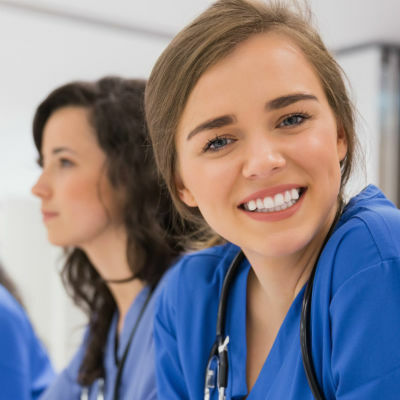 Once the student has successfully completed the CMA program they will meet the eligibility requirements to take the national CMA certification exam through the National Healthcareers Association (NHA). The cost for the exam is included in the tuition. Registration fee.....................$100.00 Paid at time of registration. Non-refundable after 5 days or start of class. Tuition and fee charges are subject to change at the schools discretion. Any tuition or fee increases will become effective for the school term following student notification of the increase. All tuition and fees must be paid in full for the student to graduate. Any student that is dropped from the program or withdraws is responsible for all tuition and fees according to the refund policy. If you are unable to pay the full tuition amount by the 1st day of class CPTC does offer a payment plan. There will be an additional 12% finance charge to use the payment plan option. The payment plan fee will be split up in equal payments over the 9 weeks of the payment plan. An additional $25 late payment charge will be added if payment is not received when due. A late charge will be assessed for each late payment. Not including the $100 registration fee. Clinical Externships Students are welcome and encouraged to perform a 20 hour phlebotomy and 80 hour clinical medical assistant externship for a total of 100 hours. Students wishing to participate in a clinical externship must successfully pass a BCI criminal background check, drug testing, and 1 step TB test. The cost to complete the requirements for the clinical externship will be the sole responsibility of the student. The requirements for the externship must be completed and all documentation submitted by the last week of the student’s program. Once all requirements are met the externship will be coordinated by CPTC. CPTC does not guarantee placement in a clinical externship. A clinical externship is optional and is not a requirement to complete the program. All eligible students can elect to participate in a clinical externship in one of over 67 COPC locations. Job Board listing local open phlebotomy positions.